Anyone who’s been around triathletes for any period of time knows that they all have one thing in common; they train harder and longer than participants in any other sport. It’s not just the laps in the pool, the rubber on the road or the kilometers in the saddle that sets them apart. Triathletes devote their lives to perfecting their technique, building strength, improving flexibility, maximizing their aerobic capacity and ensuring that their equipment performs at the same level as their bodies- and beyond. The Planet X name has been associated with Triathlon for a long time, we are still lead by Dave Loughran, our triathlon-obsessed founder and CEO. Dave has been at the helm for over 25 years directing the brand on a simple mission – “creating world-class triathlon and cycling products at accessible prices”. Planet X is responsible for reshaping the industry with their disruptive, direct to customer, business model that minimizes costs and maximize value for money. “the first truly affordable carbon triathlon bike”. 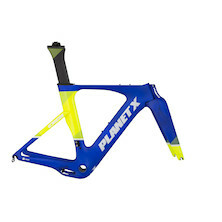 Back in 2009 Planet X launched their ground-breaking Pro Carbon Stealth Time Trial and Triathlon bike. When launched, the Stealth was the first truly affordable carbon triathlon bike. It received high praise from the magazines and reviewers of the day and it’s position as a professional level race machine was affirmed when Cadel Evans rode an unbranded version of the frame in the Tour De France. Since then it has become a fixture in transition and out on the course. Pushing at the limits of what was possible in aero bike design Planet X introduced the Exocet in 2011. Like the Stealth before it the Exocet reaffirmed Planet X’s commitment to advanced aero performance and bringing it to the masses at an affordable price. Revised over the years with tweaks to accommodate emerging component standards the Exocet eventually morphed to become the now familiar Exocet2. What the Stealth did for democratizing the carbon fibre Tri/TT bike the Exocet has done for cutting edge aerodynamic design and performance. Instantly recognizable the Exocet 2 has been ridden to countless professional and amateur victories and has cemented Planet X’s reputation in the triathlon market. 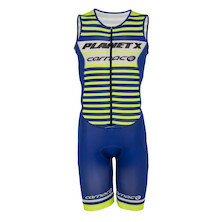 Fast forward to 2016 and Planet X have a fantastic catalogue of award winning cycling and triathlon equipment. The EC130-E Road bike has just been awarded the coveted “Aero Road Bike of the Year 2017” crown by Cycling Weekly, The EXO 3 Time Trial / Triathlon bike has just been given a glowing review in 220 Triathlon. Through it all Planet X has stayed true to their original mission- “world class cycling and triathlon products at accessible prices”. Fantastic competition quality tri-suit that's the perfect match for your Team Carnac colour Exo3. As worn by our pro-athletes. 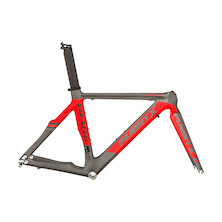 You can't beat the laws of physics, but with the new EXO3 TT/Triathlon bike you can use them to beat the competition. 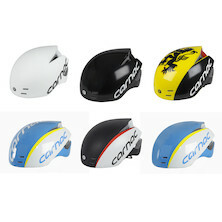 Get the most out of every single watt and stay cool with the Carnac Aero Road helmet. Outrageous aerodynamic efficiency and reliable protection in a sleek, good looking package. Carnac's new Kronus Time Trial and Track Helmet provides wind-cheating aero performance with integrated ventilation and swappable visors for differing light conditions. Perfect for TT's on the road or flat out efforts on the boards the Kronus helmet is designed to offer maximum protection and PB smashing aero performance. Tru-Sight, Magnetically fixed visor. Clear lens included. 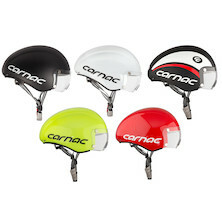 Customize your Carnac Kronus TT/Track for every ride with our new swapable visor range. 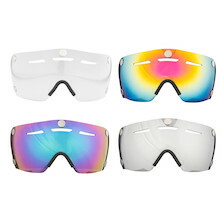 Built from optically clear polycarbonate and available in a range of tinted and mirrored finishes there's a perfect visor choice for every race. Our legendary carbon Stealth frameset is the ideal TT and Triathlon speed weapon for shaving seconds off the clock and setting your new PB.